Reactions to Halal from either side? Halal certification was initially introduced so companies could export products into Muslim countries. It was instigated by large corporations seeking to make money from food product! Not by Muslims, but by large food producing companies wanting to make a profit. Are people making money off it? What a surprise, we are after all a capitalist economy but is anyone yet beginning to see on what side of the “Coin” this is occurring??? All the certification means is that Halal food has been blessed, killed and prepared according to a few particular specifications. Your food that you buy at the supermarket is killed and prepared according to a few particular specifications called health regulations. The Muslim regulations are not that dissimilar except for the religious blessings although one could produce an argument for finding food certification a form of secular blessing. And we all know how that certification has been going since lax labelling laws allow frozen berries to be brought in labelled “Made in Australia with local and imported ingredients”. Given Abbott’s enthusiasm for FTAs, they will weaken Australia’s ability to maintain its safety standards. Berries this year, rotten meat last year and the horse meat scandals from the year before and Soy milk before that. It strikes me that rigid food specifications are a good thing. What really funds terrorism in the East. The Jewish community has food prepared according to a few particular specifications; it is called kosher meals. They have been doing it for generations here in Australia. It hasn’t been as financially remunerative for food companies the way. 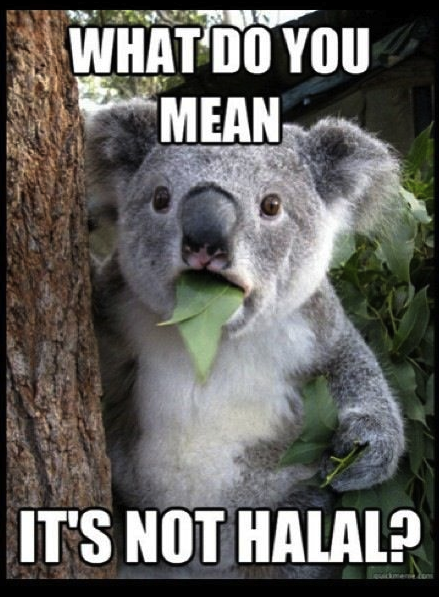 Halal food has though. Do you think for a moment if someone could monetise the kosher market they wouldn’t? People making money out of Halal food is a point of attack? People make money off selling un-healthy MacDonald’s foods. Get some perspective! And if you are really genuinely concerned that your money may be spent on something that might end up in an overseas terrorist’s hands, then stop buying petrol. What do you think is funding ISIS? So exactly how does Halal or Kosher (which no one is carrying on about) food harm anyone? All this nonsense going to Bernardi is just feeding religious bigotry and has nothing to do with certification. References to Islam being a “medieval cult” or nonsense about how 2% of the population are about to convert our legal system to “sharia law” is completely off topic, irrelevant and not to mention absurd. (Bejesus, Abbott had over half the country behind him and can’t get half his laws passed. – sorry getting off point there) The religious hatred is a straw man argument to distract from what the inquiry is ñ in theory ñ supposed to be about – Certification for foods! What part of that don’t people understand? Quite a lot so it would seem. While a healthy debate is always a way of thrashing ideas to the point that both sides will merely strengthen their resolve, comedy is a real ice breaker. If you are a supporter of the Halal investigation, then read and watch the clip associated with this story. 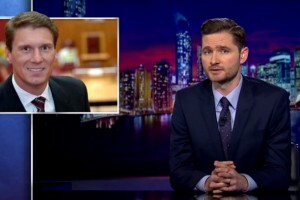 Charlie Pickering went to town on Halal certification in a brilliant skit in “the Weekly”. If this post can’t help you then perhaps Charlie can.